Senior Care / Elderly Home Care, Memory Care (Dementia and Alzheimer’s Care ), Companion Care, VA Home Care, Respite Care, Hospice Care, Assistance with Activities of Daily Living (ADLs) such as: Meal Preparation, Eating, Bathing, Light Housekeeping, Grocery Shopping, Accompany to Doctor Appointments, Picking up Prescriptions and more (Please contact us if you need a special service that is not listed here). In previous generations, it was common for senior citizens to live out their golden years in nursing homes or assisted living facilities if they could no longer care for themselves at home. Many seniors now are choosing to age in place in their own homes instead of leaving for a nursing home. By aging in place, seniors have more control over their daily lives and can stay in the familiar environment where they have spent most of their adulthood. However, many senior citizens will still need some additional help to live at home if they can no longer care for themselves like they used to. This is where a home care agency such as Assisting Hands can help. Our caregivers are each licensed and highly trained to provide quality home health care to help your loved ones age in place. We will take the time to understand your loved ones’ care needs so we can form a care plan that meets their needs and allows them to live safely at home. When you call Assisting Hands for home care services, we send a representative to the home of your loved one for an initial meeting. During this meeting we will evaluate your loved one’s care needs and complete a safety assessment of their home. With the help of you and your loved ones, we will then create a care plan as well as a schedule for our caregiver. You can trust our caregivers to provide your loved ones with quality, compassionate care. Each one of our caregivers has undergone an extensive background check and they are also bonded and insured for your protection. Our caregivers will not only provide your loved ones with excellent home care, but also with companionship as they will establish a personal connection with your loved ones. Many seniors need additional help in their homes because they can no longer handle basic self-care, also known as activities of daily living (ADLs). Our caregivers can assist your loved ones with these activities including bathing, getting dressed, restroom use, ambulation, and medication reminders. As seniors get older, they may have a harder time taking care of household chores. Housekeeping tasks like vacuuming and laundry involve physical activity that some may find difficult. Our caregivers help with a range of household chores including vacuuming, dusting, laundry, taking out the trash, and others. Malnutrition is common among seniors because many cannot cook for themselves and those with cognitive limitations may neglect eating. Our caregivers will prepare meals for your loved ones daily that account for their dietary restrictions. Our meal prep services include making and serving the meal as well as clean up afterwards. It is common for seniors to give up their driving privileges which makes it more difficult for them to see family, shop for groceries, or get to doctor appointments. We can provide transportation for your loved ones to help them get to doctor appointments and family gatherings as well as take care of necessary errands like grocery shopping. Our caregivers do so much more than just provide basic care for our clients. We want to provide your loved ones with the care and companionship they deserve. Our caregivers will take the time to get to know your loved ones and build a personal relationship with them through conversation and fun activities. If you have loved ones suffering with Alzheimer’s or some other form of dementia, they need daily care to live safely. It is also best for those suffering from these conditions to receive care in the familiar environment of their home. We can provide home care for those suffering from Alzheimer’s and dementia to help them live safely at home. Our caregivers have received specialized training to care for those with these conditions and we can also help slow their memory loss with our memory care exercises. If your loved ones need someone present in their home 24 hours a day, we can help with our 24-hour and live-in care services. With our live-in care services, we will assign a caregiver to live in the home for 3-4 days at a time. With our 24-hour care services, two caregivers will alternate 12-hour shifts, assuring that an awake caregiver is in the home at all times. We understand that everyone is different and needs different care services to accommodate their unique needs. 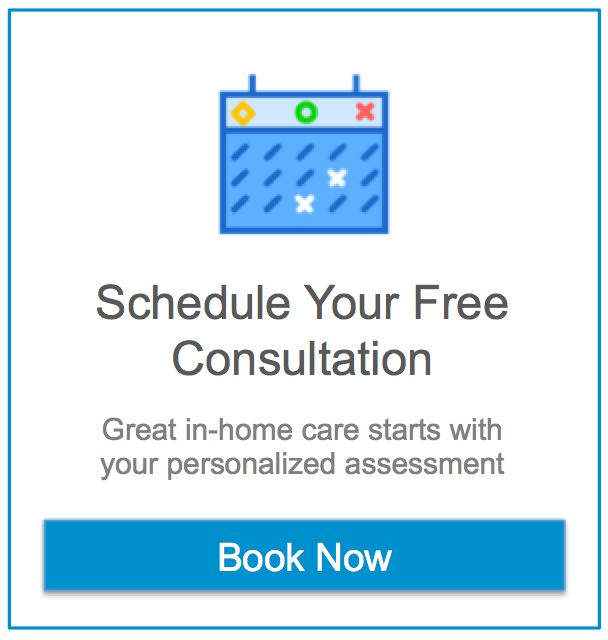 We create personalized care plans for your loved ones based on their medical history, care needs, and schedule. Our care plans can always be adjusted to accommodate the changing needs of your loved ones. You can contact Assisting Hands Home Care by calling (815) 201-5445 for professional home care services in Plainfield, IL and the surrounding areas in Will and Kendall counties.